The right kind of tax reform can help people directly and indirectly. They benefit directly if reform reduces their tax burden and gives them more take-home income. They benefit indirectly if reform increases growth and leads to additional pre-tax income. For what it’s worth, I think the indirect impact is most important for family finances, and I discussed the potential benefits of faster growth in this recent interview on Fox Business. But for today’s column, I want to focus on the final portion of the interview, when I pontificated on how limiting the state and local tax deduction is going to motivate some successful taxpayers to “vote with their feet” and therefore put additional pressure on high-tax states. And if we get lower tax rates at the state level, we can include that outcome as another indirect benefit of federal tax reform. I’m leery of predictions, but I think this will happen. The bottom line is that high-income taxpayers – even before tax reform from Washington – have been escaping from states such as Illinois and California. Here are some fun facts from a recent column in National Review based on IRS data. Last month, the Internal Revenue Service released the latest tax and migration numbers for 2015 and 2016. …the latest figures show that Florida is seeing an overwhelming influx of taxpayers from other states. In 2015 and 2016, the Sunshine State attracted a staggering net inflow of $17.4 billion in adjusted gross incomes. …the IRS is able to break down new residents by age groups. During the 2015–16 reporting period, nearly 70,000 tax filers between the ages of 26 and 35 moved into the state. That age group accounted for the biggest influx of new Florida residents, over ten thousand more than the 55-and-over category. …The states that lost the most net taxpayers in both dollar and percentage terms relative to their existing tax bases are Connecticut (–$2.7 billion) and New York (–$8.8 billion). What does this tell us? …the size of a state’s government matters. Florida’s per capita state spending is the lowest in the country… Connecticut, meanwhile, has the eighth highest per capita state spending, and New York ranks 15th. New York has the second heaviest aggregate tax burden of any state, while Florida’s is the fourth lightest. The Daily Caller combed through some new data from the Census Bureau. Three Democratic-leaning states hemorrhaged hundreds of thousands of people in 2016 and 2017 as crime, high taxes and, in some cases, crummy weather had residents seeking greener pastures elsewhere. The exodus of residents was most pronounced in New York, which saw about 190,000 people leave the state between July 1, 2016 and July 1, 2017, according to U.S. Census Bureau data released last week. Illinois lost so many residents that it dropped from the fifth to the sixth-most populous state in 2017, losing its previous spot to Pennsylvania. Just under 115,000 Illinois residents decamped for other states between July 2016 and July 2017. Since 2010, the Land of Lincoln has lost about 650,000 residents to other states on net. Illinois’ Democratic-dominated legislature has tried to ameliorate the situation with tax hikes, causing even more people to leave and throwing the state into a demographic spiral. Illinois experiences a net loss of about 33,000 residents in 2016, the fourth consecutive year of population decline. Even the establishment media is noticing. Here are excerpts from a recent report in the Mercury News. A growing number of Bay Area residents — besieged by home prices, worsening traffic, high taxes and a generally more expensive cost of living — believe life would be better just about anywhere else but here. During the 12 months ending June 30, the number of people leaving California for another state exceeded by 61,100 the number who moved here from elsewhere in the U.S., according to state Finance Department statistics. 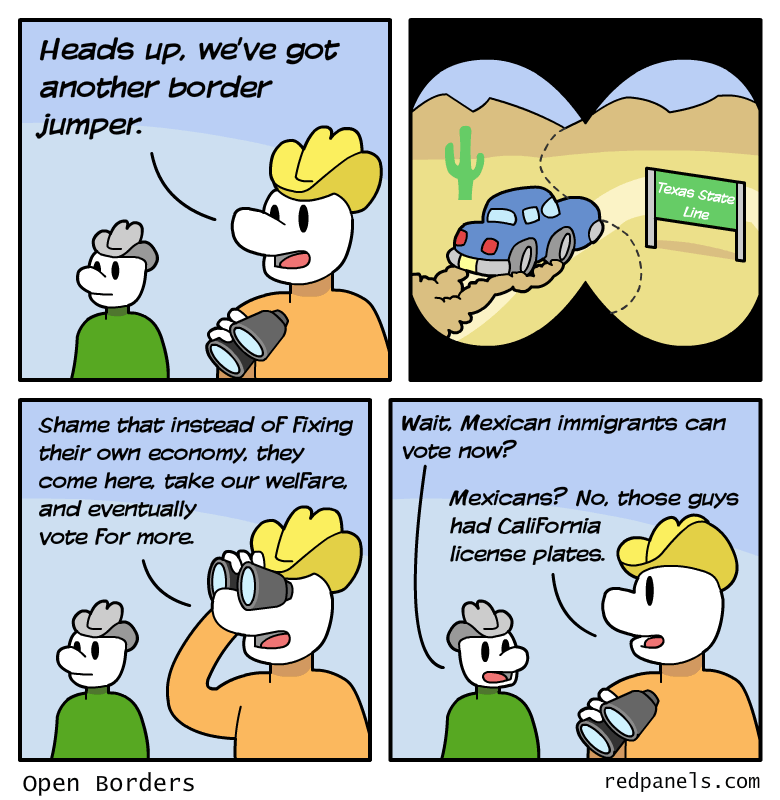 The so-called “net outward migration” was the largest since 2011, when 63,300 more people fled California than entered. And now that state and local taxes will no longer be fully deductible, this out-migration is going to accelerate. Which, of course, will mean added pressure for lower tax rates in states like New York and California. And New Jersey, Illinois, and Connecticut. Here are some excerpts from a story from Yahoo Finance. Kelly Smallridge, the president and CEO of Palm Beach County’s Business Development Board, has seen an uptick in activity from CEOs looking to explore Florida since there’s no state tax on personal income. The move from the northeast to Florida has been somewhat of a trend in recent years. In the last five years, 60 financial services firms have relocated to the Palm Beach area, Smallridge noted. If you want to know what states are most vulnerable, the Tax Foundation’s map of state income tax burdens is a good place to start. Also, the Tax Foundation’s State Business Tax Climate Index is another measure of which states over-tax their citizens. 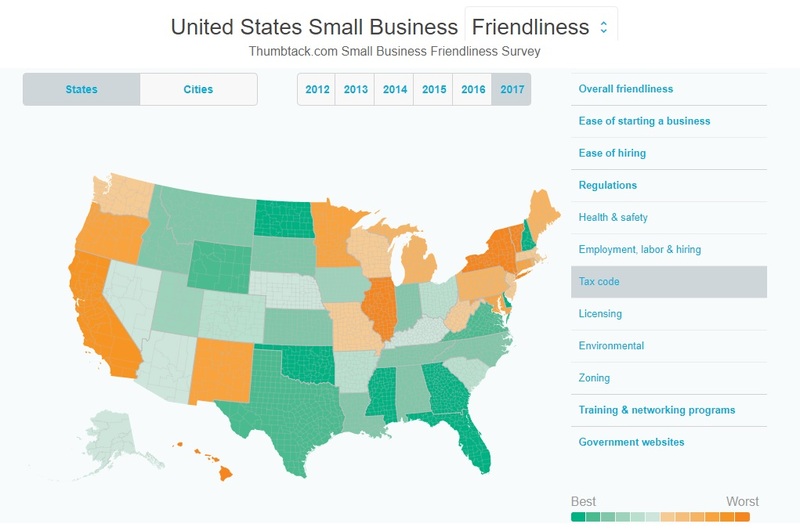 And here’s a survey of small business sentiment that shows which states are viewed as having unfriendly tax codes. Green is good and orange is bad. And it’s also worth reviewing the evidence that already exists for tax-motivated migration. Here’s a map showing the entire country and here’s a map showing the exodus from California. Let’s close with this amusing cartoon strip. Couldn’t happen to a more deserving group.